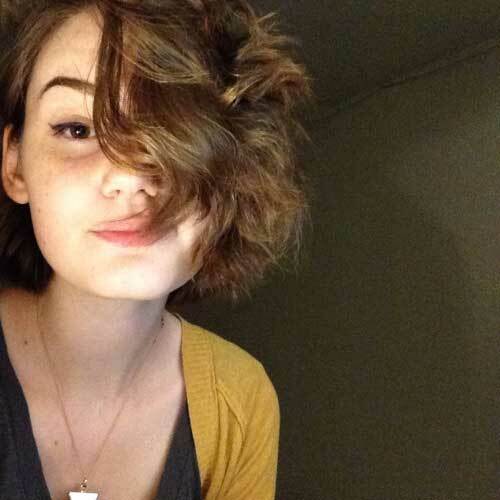 Wavy styles are really popular hair trend of 2o16. 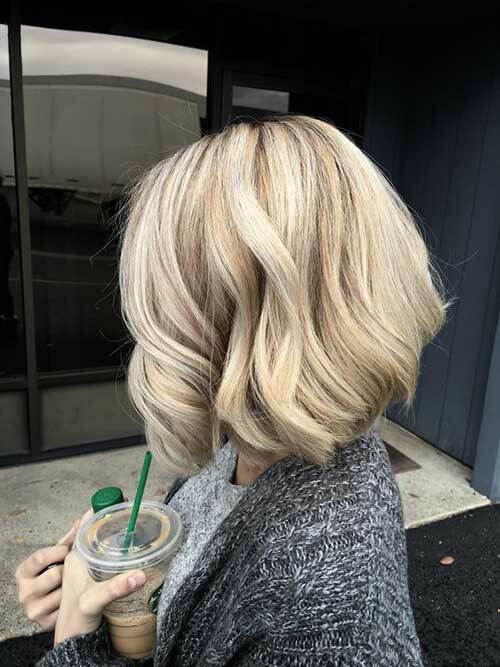 Here in this gallery you will find Latest Short Wavy Hairstyles You Should Try in 2016, take a look these gorgeous short hairstyle ideas now! 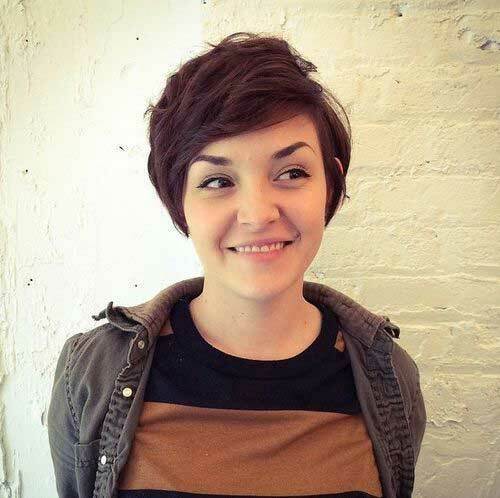 Choppy layers look really defined on wavy short hairstyles with highlights. 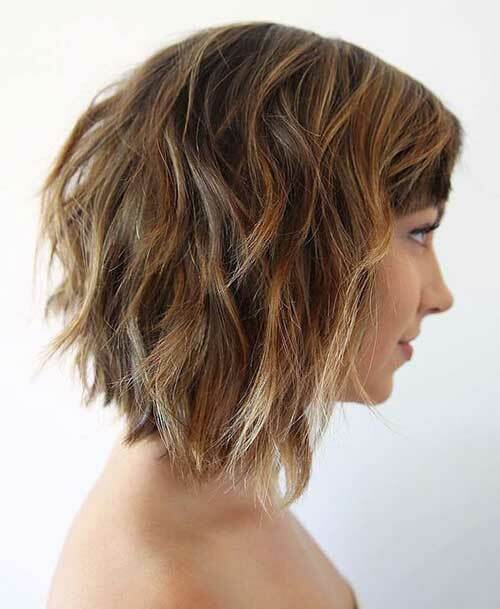 This slightly angled messy bob hairstyle is perfect for stylish girls with naturally blonde hair. 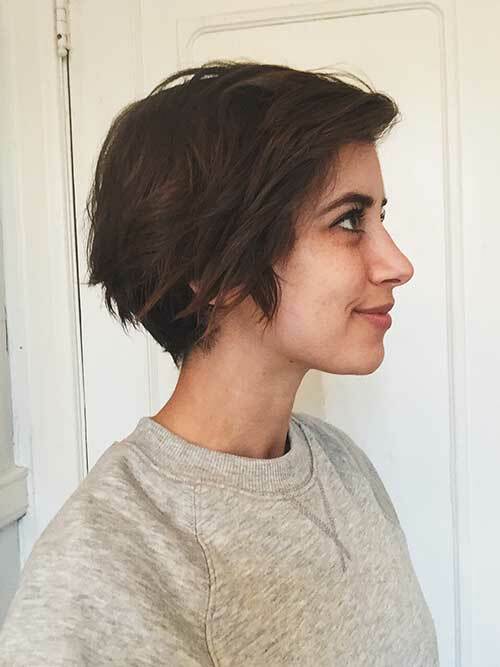 This asymmetrical haircut with undercut style would be perfect for women with triangle face shape. 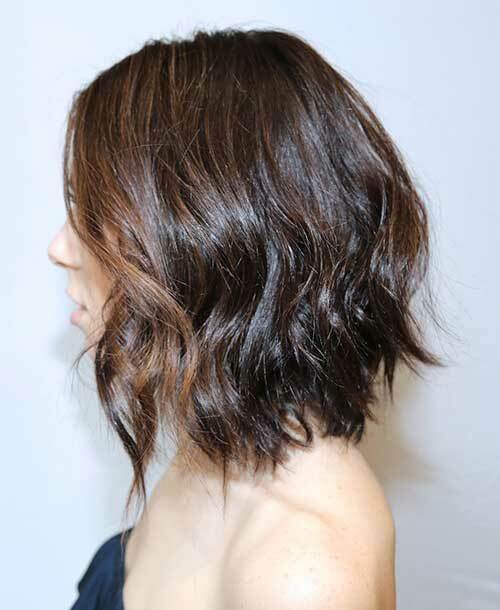 Here is a medium length angled bob hairstyle with ombre style and loose waves. 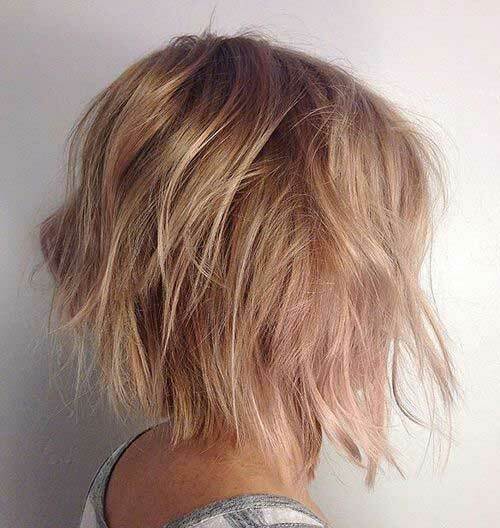 Choppy layers add really cool and modern look to bob hairstyles, this way you will create textured hairstyle too! 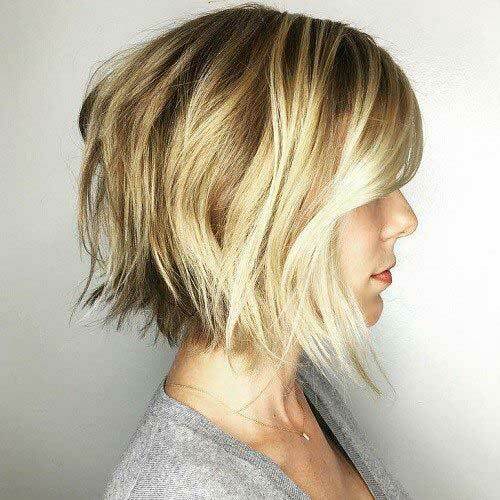 Here is an A-line bob hairstyle with layering and highlights will definitely frame your face nicely. 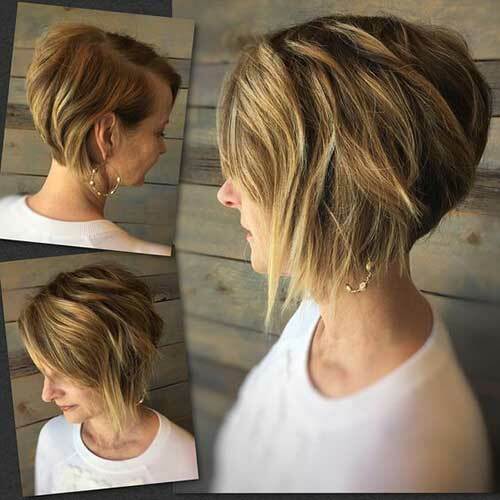 If you have thick hair texture short bob hairstyles with light layering at the end of the hair would be the perfect choice! 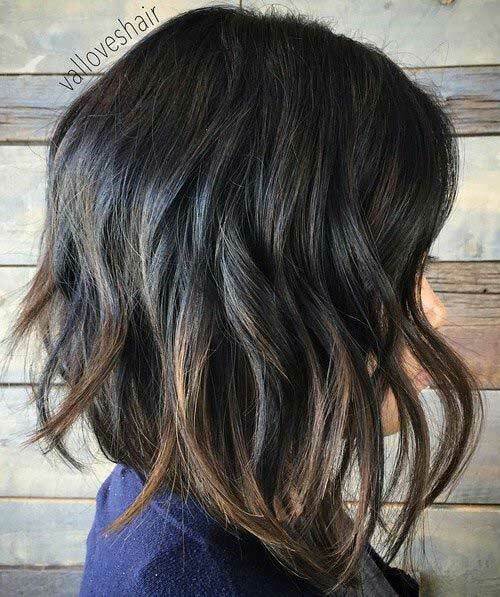 Long bob hairstyles are really popular among women including celebrities, wavy and layered lobs are great way to sport it! Big and loose waves are perfect way to style your hair for casual looks and even for special occasions. 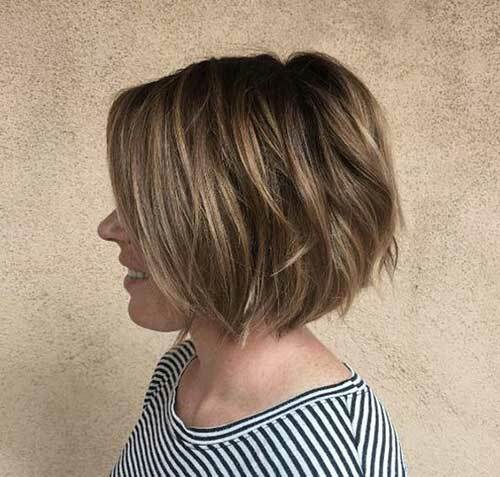 Messy, angled and chic… This bob hairstyle with side bangs is cute yet stylish. 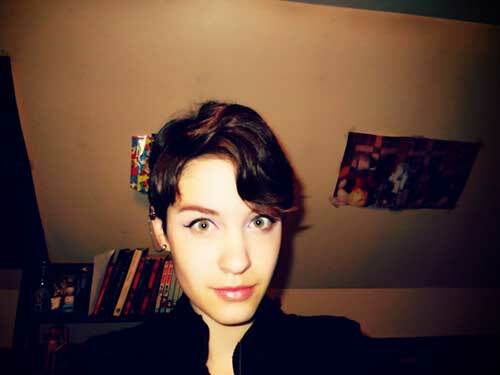 Longer pixie styles are really in trends and women likes to sport pixies with long side bangs. 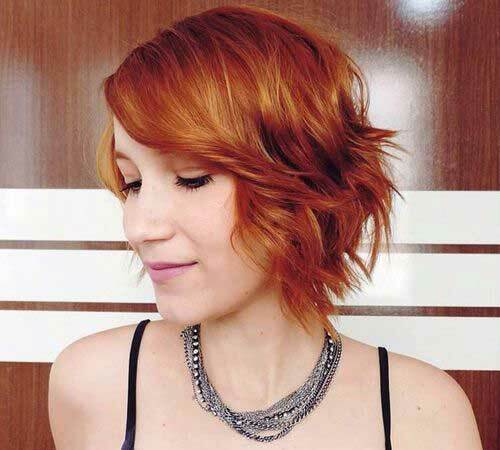 This red bob hairstyle with choppy layers styled into messy and loose waves at the end of the hair. 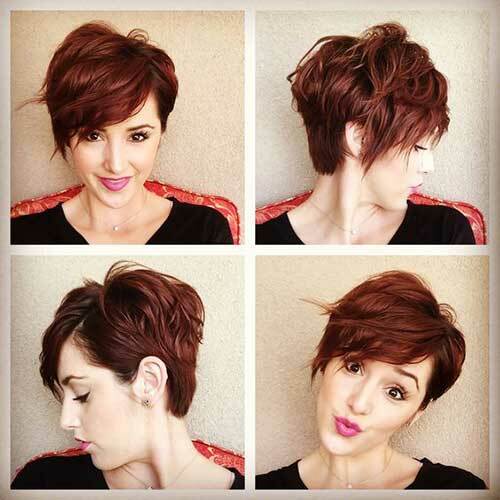 Copper red asymmetrical pixie cut is lightly layered and one side is tucked behind her ear. 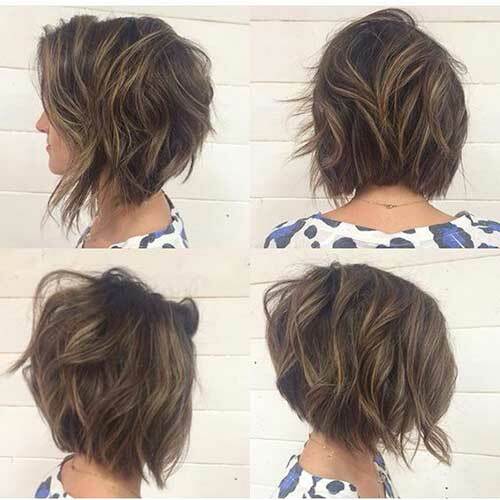 Here is a layered bob hairstyle for naturally wavy and thick haired girls. 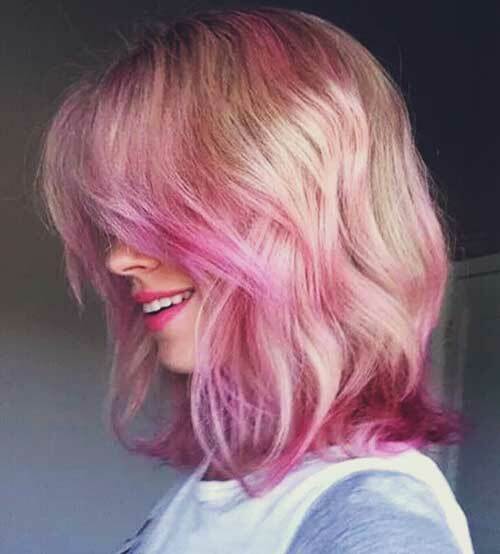 This gorgeous long blonde bob hairstyle is colored with pastel pink hair color and it looks fantastic! 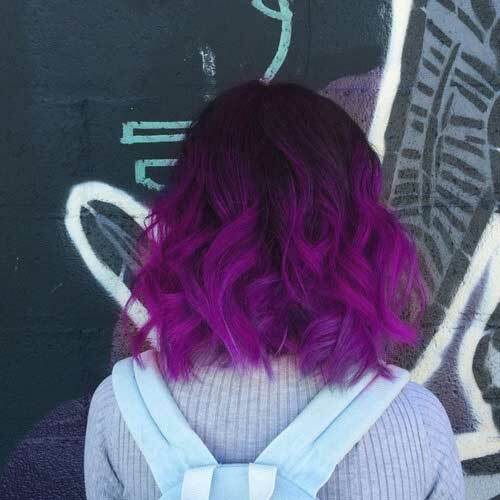 Here is wavy long bob hairstyle with purple ombre hair color. 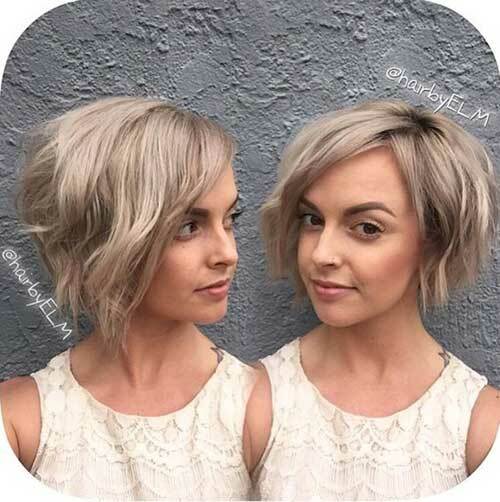 Ash blonde hair color and short bob hairstyle really emphasize her facial features. 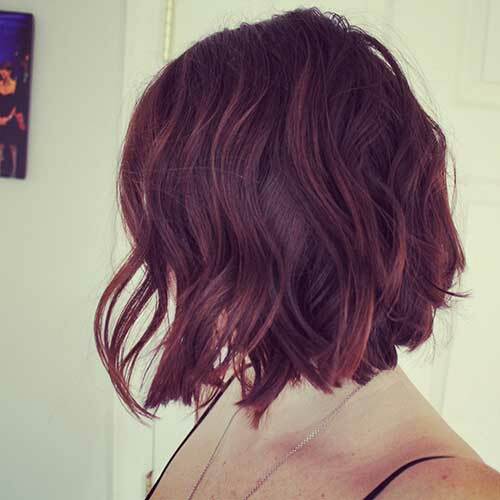 This wavy bob hairstyle can be achieved with big curling iron and some texturizing hair spray.